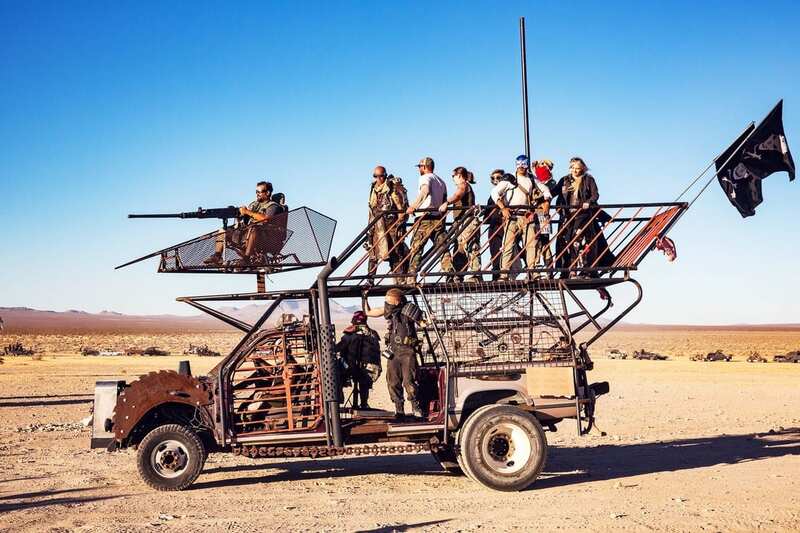 This truck is a perfect example of the brilliance of the Wasteland Weekend participants. The creator no doubt took plenty of pride in modifying this vehicle, stripping it of its exterior until it was little more than a bare skeleton. He or she left it functional, and then added a balcony. Probably the best seat in the entire thing is for the mock gunner up front. It’s truly like enjoying the thrills of a video game but in real life. That pirate flag is a reminder that these outlandish vehicles are truly like ships. They’re sailing out on the wild seas of the desert sand in search of mayhem.